What is the Breeders’ Cup? Long-time racing fans and insiders know the Breeders’ Cup World Championships. For bettors, the event is an opportunity to wager on quality horses with value (because the entire race will be filled with quality). Horsemen see this event as a major goal to aim their horse towards. 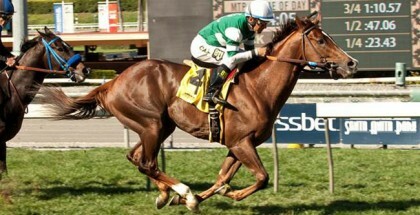 Rather than end their season in a regular stakes race, horses can take on the best opponents from all over the world. 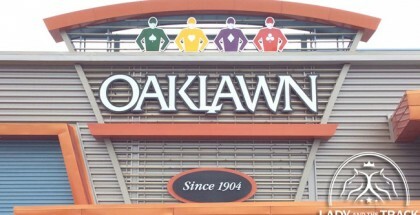 This year, the event is scheduled for Oct. 30 and 31 at Keeneland Race Course in Lexington. Thirteen races are scheduled over two days, with Day 1 culminating in the Breeders’ Cup Distaff (GI) and the Breeders’ Cup Classic (GI) anchoring Day 2. At this point, tickets might be difficult to obtain, although the Breeders’ Cup offers a page on their website informing fans of different options. First post on Day 1 is scheduled for 12:30 p.m. EST with five undercard races. The Distaff runs at 5:35 p.m. EST. Day 2 begins slightly earlier at 11 a.m. EST with two undercard stakes races, and the Classic starts at 5:35 p.m. EST. The official race order for both cards will be revealed on Oct. 22. The Breeders’ Cup also provides a .pdf file displaying all the important dates to remember. 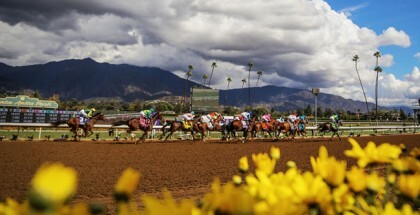 For example, Oct. 19 is the pre-entry deadline for all Breeders’ Cup races. On Oct. 20 is the field selection panel meeting to decide which horses not already qualified deserve entry. The next day, they will announce the pre-entries. Finalized fields are revealed Oct. 26 during the post position draw. Jockey and trainer press conferences are scheduled for Oct. 29. Horses gain entry into the Breeders’ Cup one of three ways. If they win one of the Breeders’ Cup Challenge Series races, their spot is guaranteed. Secondly, points are awarded depending on their finishes in graded stakes races. If those two methods fail to sort out the field, an aforementioned panel makes decisions too. This way, every horse in the Breeders’ Cup truly belongs. American Pharoah, the reigning Triple Crown champion, is scheduled to compete in the Breeders’ Cup Classic. Some of his foes might include Pacific Classic winner Beholder and Honor Code, who recently finished third in the Kelso (GII) at Belmont Park. Previously, Honor Code won the Metropolitan Mile (GI) and Whitney (GI). Ticket prices are high this year because of American Pharoah. How is the Parking Situation? Parking may come as a “challenge” as well. For the majority of attendees, parking will take place at Kentucky Horse Park or Whitaker Bank Bell. For a nominal fee, a shuttle will transport people to the racetrack. On-site parking at Keeneland is limited to those with the proper credentials. While the arrangement sounds difficult, it is necessary to prevent overcrowding at the actual site. What Kind of Wagers are Available? All standard wagers are available, with most of them at a lower minimum than usual. According to the official press release, bettors can make Win, Place and Show bets at a $1 minimum, as well as Exactas, Doubles (including the Distaff-Classic Double) and the two Ultra Pick 6 wagers. Bets at the 50-cent minimum are possible too and include the Trifecta, Pick 3, Pick 4, Pick 5 (two of them available) and Super Hi 5. Those with a dime can wager on the 10-cent minimum Superfecta. On Win, Place and Show wagers the takeout rate is 16 percent, while all others wagers charge a 19 percent takeout rate. The numbers fall slightly lower than the national average. As with any race card, the best betting strategists will wait for races where the public ignores their choices and attack. Of course, some bettors just want to play every race, and that is fine too. Others simply enjoy watching high-quality stakes races, or they come to party at the event. 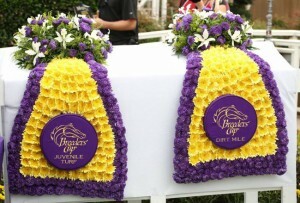 The Breeders’ Cup caters to a wide variety of interests! Start handicapping or shopping for the right outfit now. Breeders’ Cup Chat: Is Beholder better than American Pharoah?